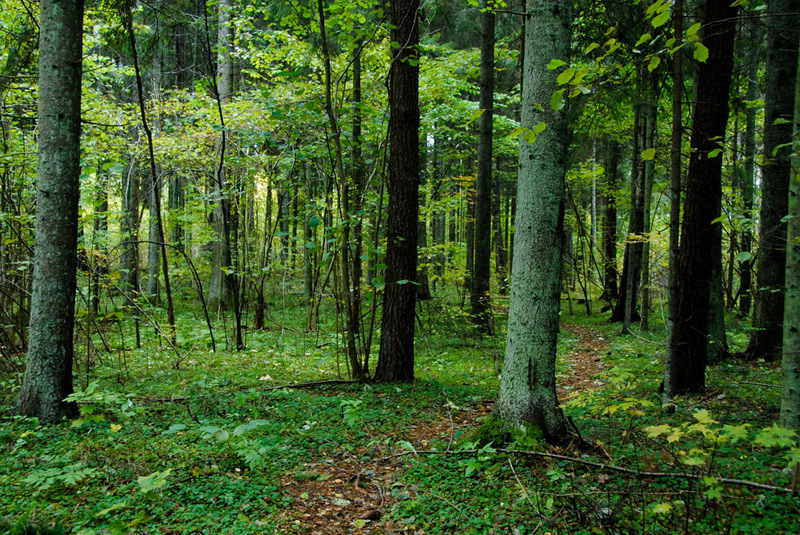 The trail runs in the riparian forest of the Rannametsa River, with rich vegetation and versatile terrain. 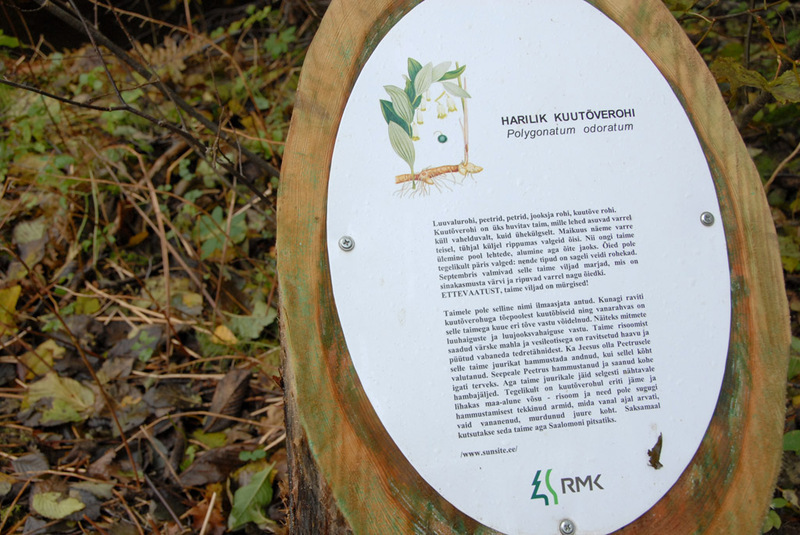 The trail aims to introduce riparian forests, which are rare in Estonia, and characteristic bog plant communities. 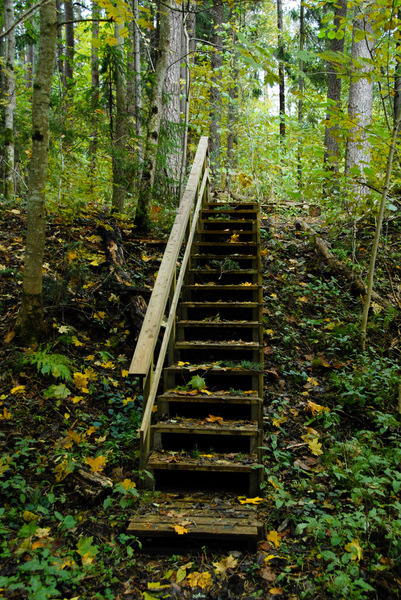 About halfway through the trail you will arrive at the forest hut, which is an excellent place to rest and listen to the singing of birds. Parking facilities Parking for 10 cars in the parking area of the forest district office. 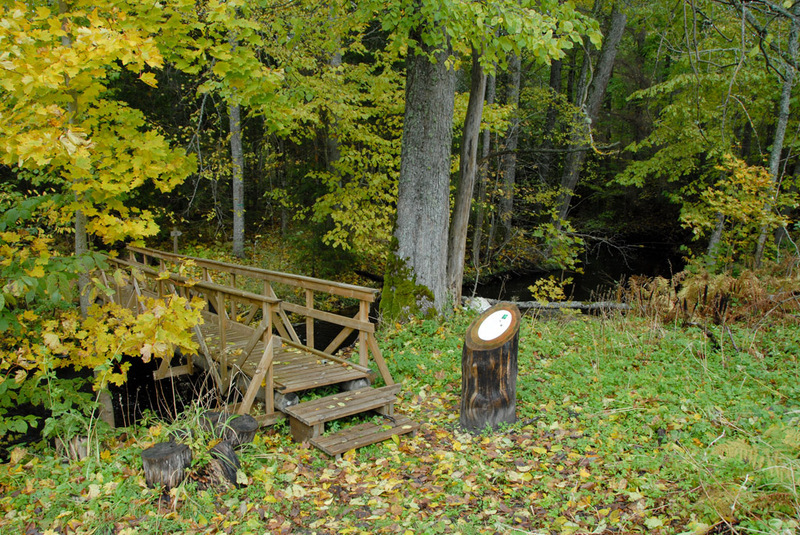 Amenities Outdoor toilet and information board with trail map at the start of Laiksaare nature study trail; 3 footbridges, several interest points and Laiksaare forest hut with outdoor fireplace along the trail. Hiking options Hiking also possible on the Kopra tare–Ikla section (74 km) of the RMK Hiking Route. Sleeps (no. 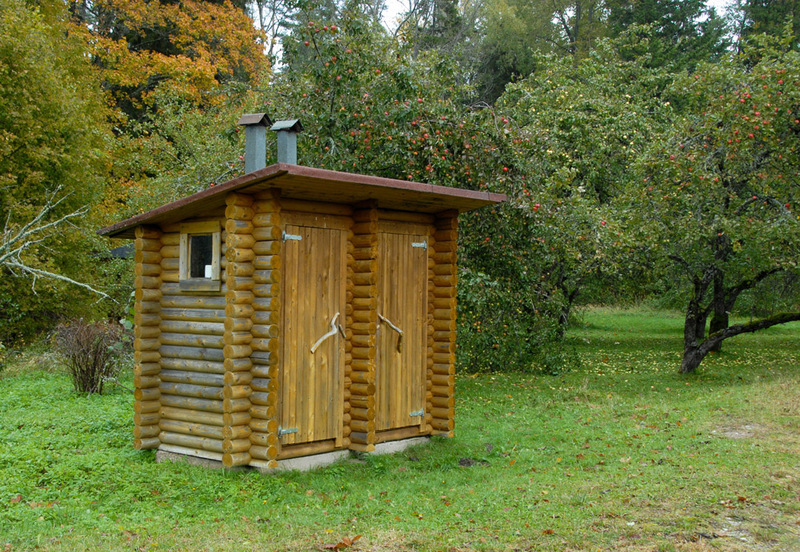 of people) Hut is for 2-3 people. 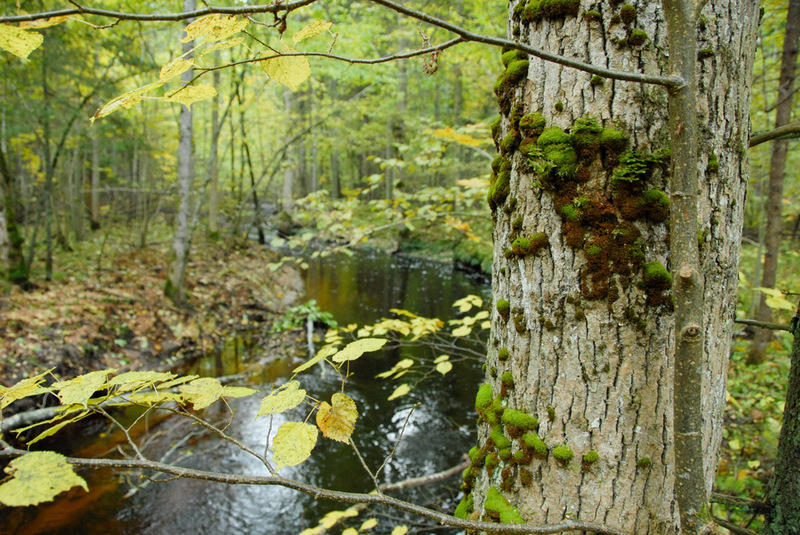 Sights The trail aims to introduce riparian forests, which are rare in Estonia, and characteristic bog plant communities. The trail goes across three footbridges, over fallen trees and along the river shore. Hikers interested in bird-watching will be pleasantly surprised to see the plethora of birds. 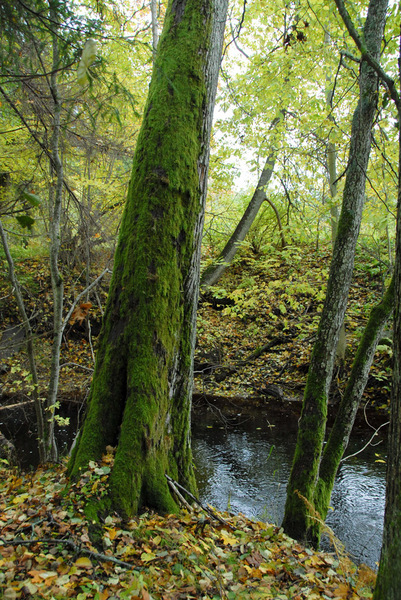 Protected Laiksaare pine forest is nearby. Winter accessibility Firewood provided in Laiksaare forest hut, no snow removal. Location In Laiksaare village, Saarde municipality, Pärnu County. Object no 12 on the recreation area map. Driving directions Drive on Häädemeeste–Tõitoja road. Before the Tali junction and Laiksaare village you can see the office of the Laiksaare forest district to the left of the road. 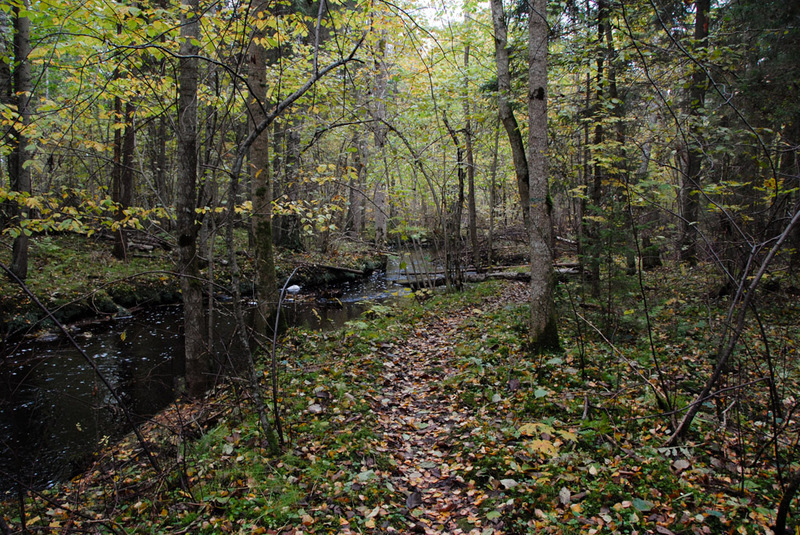 Follow the roadside sign to Laiksaare nature study trail.